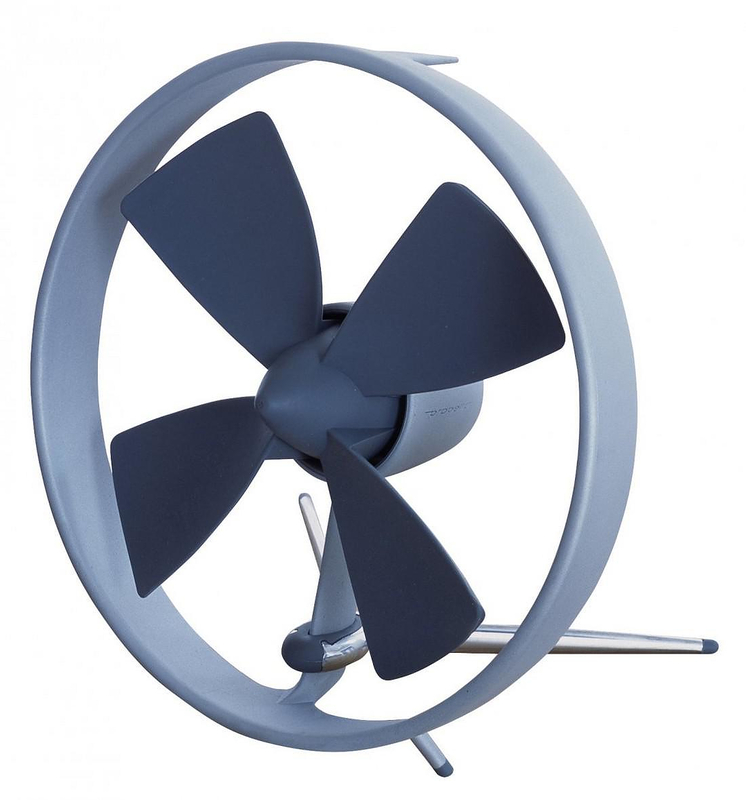 HomeBlogHome DecorPropello Silent Desktop Fan by Black + Blum. Inspired by airplane engines and propellers, Black + Blum created a sleek desktop fan that will make you feel cool even when it is turned off. 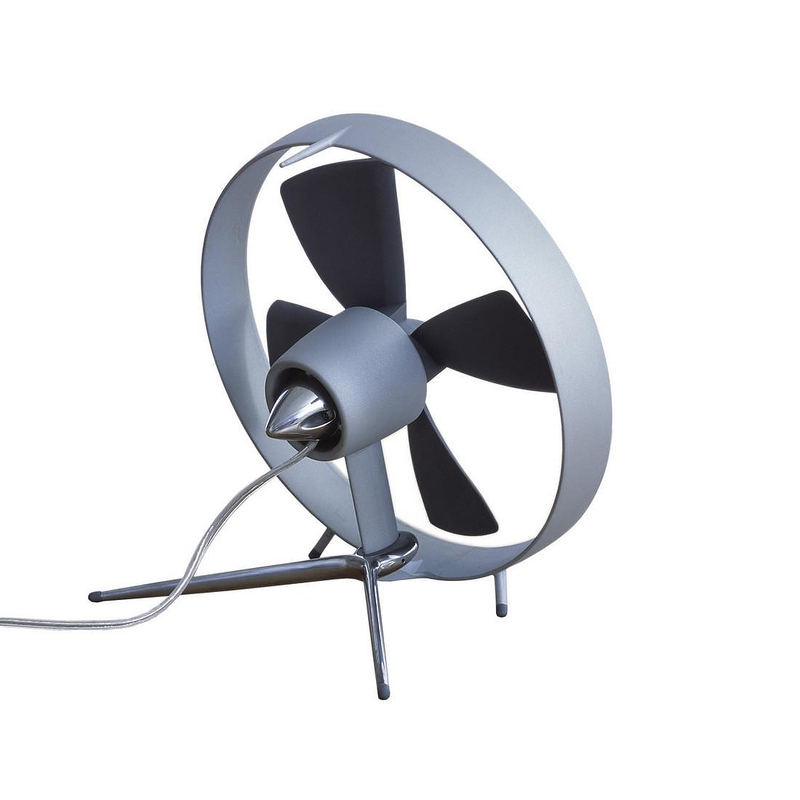 This desktop fan has soft natural rubber blades which allows a sleek minimalist design as the blades are harmless and do not need a rotor-cage. Propello is equipped with a very high quality “Johnson Electric” ball-bearing motor, this makes the fan virtually silent. 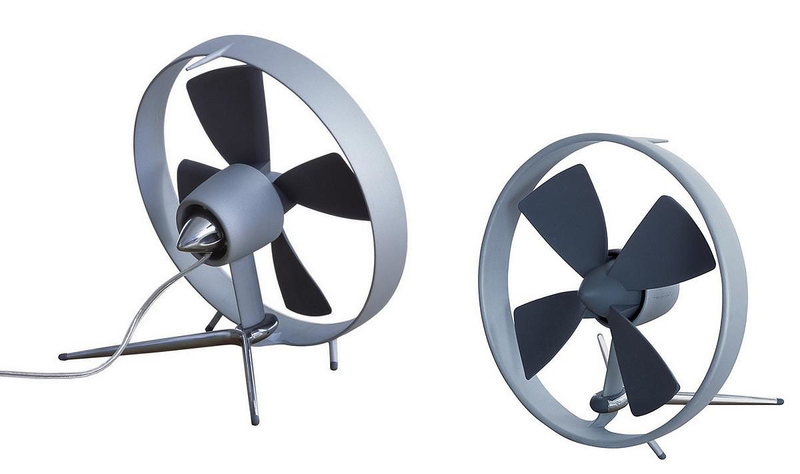 However the Propello desktop fan is not only good looking but also very robust. It has a pressure cast aluminum body, were both the circular frame and crankcase are made of one single piece of aluminum. 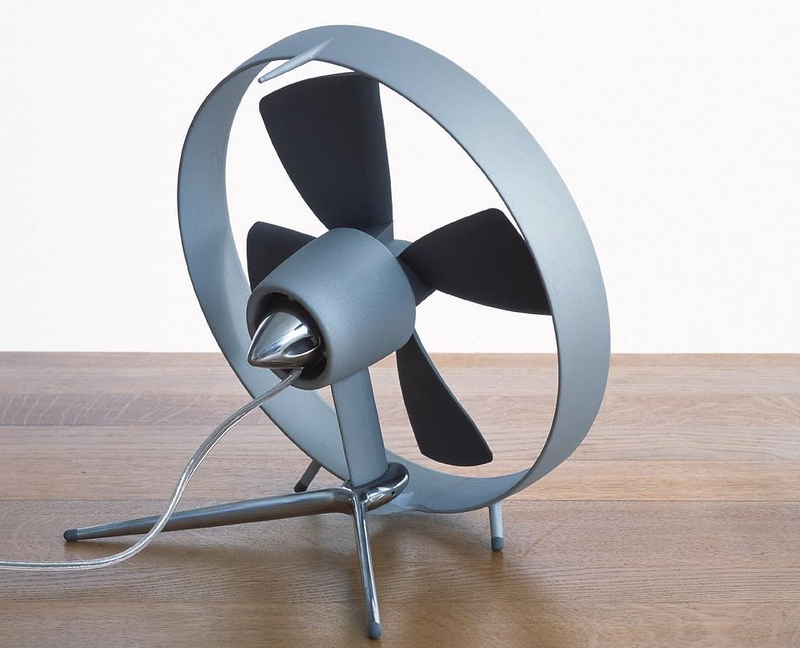 The Propello Desktop fan is also part of the permanent collection of the Museum of Modern Art (MoMA), courtesy of its unique, functional, yet smooth, design. 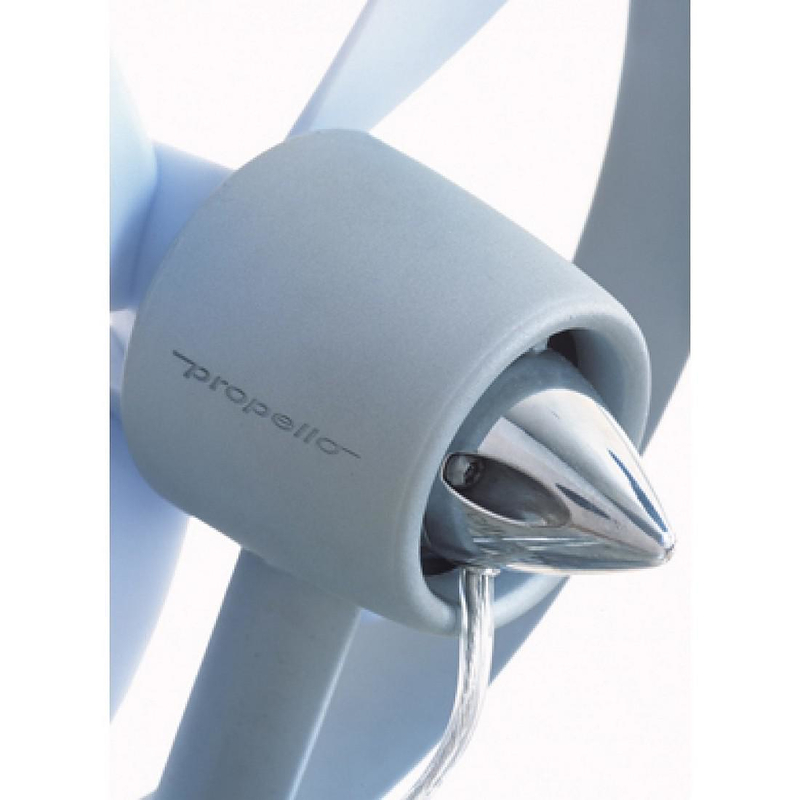 The Propello is fixed into placed with a solid metal Y-shaped mount, cleverly its angle of inclination is infinitely variable, so you can easy adjust the airflow to the desired direction. 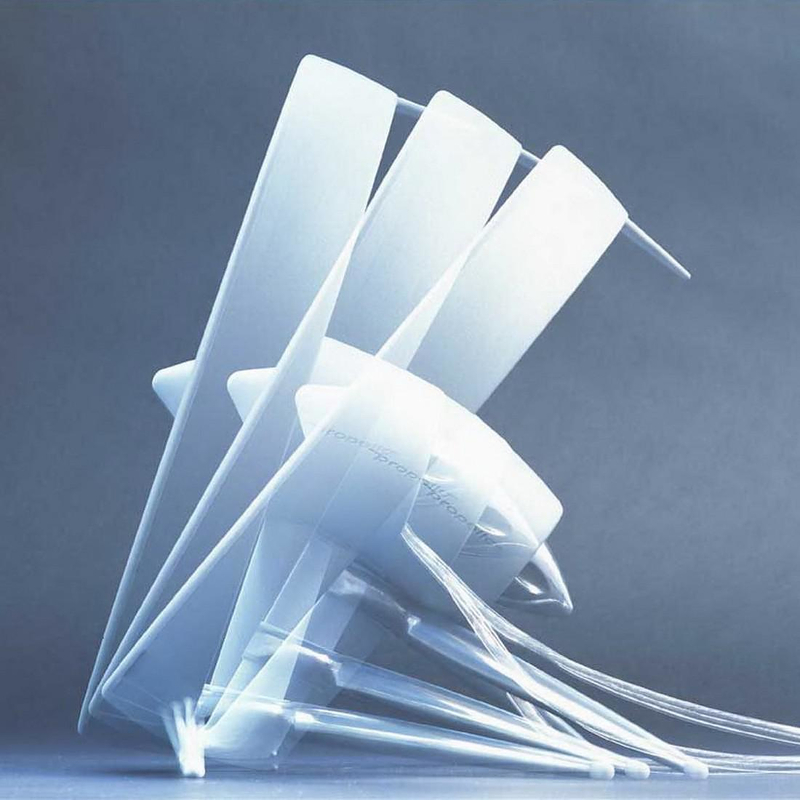 The special rubber used to construct the fan blades is rigid enough to move air without bending, yet at the same time soft and flexible. So even if you accidentally slip your hand in when the fan is switched on, there is nothing to worry about. Finally the extremely silent motor engine also saves up a lot of energy, needing 13 Watts only! With a silent motor, rubber safety-blades, low power consumption and flawless style. 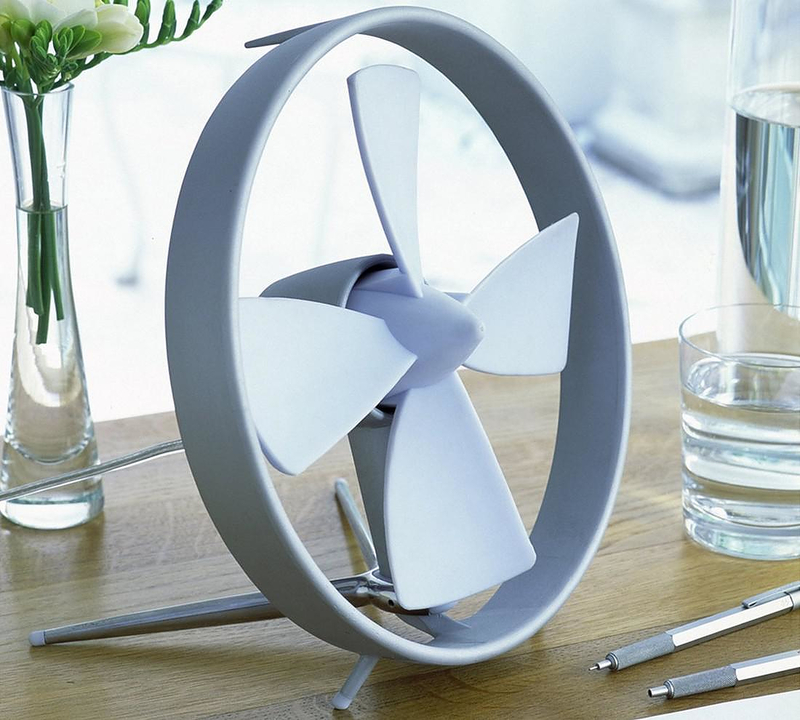 The Propello Desktop Fan is the ultimate literally “Cool” office gadget for your desk. Is it still possible to buy this fan? We had one for years but it fell off the windowsill and broke last night. Can’t seem to find one anywhere, or anything remotely like it. Do you have the desktop fan (black+Blum) in stock? Thank you for your comment Ariel. This article was written in 2013. We used to sell this fan, however is out production since 2+ years now and impossible to find anymore. Why is this fan no longer available?